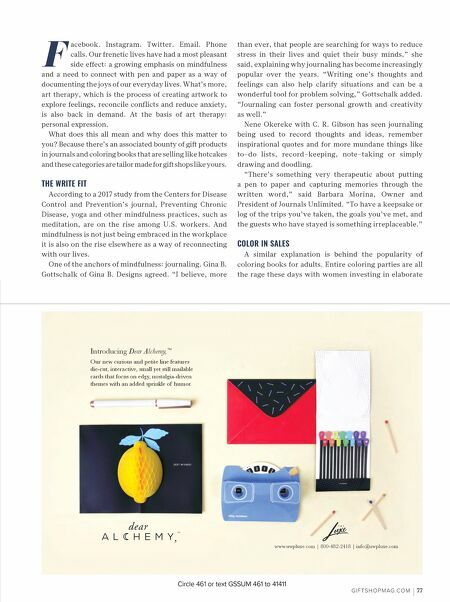 Mindfulness and a desire for reconnection with our inner selves is driving demand for journals and coloring books. 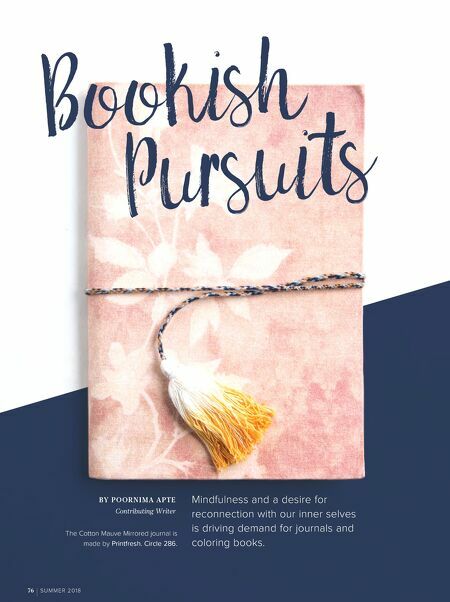 B Y P O O R N I M A A P T E Contributing Writer Bookish Pursuits 76 SUMMER 2018 The Cotton Mauve Mirrored journal is made by Printfresh. Circle 286.